A federal trial opening in Winston-Salem on Monday is meant to determine whether recent, sweeping changes in the state’s election laws discriminate against black voters. These changes were adopted by the Republican-dominated state legislature in 2013, immediately after the United States Supreme Court struck down the heart of the Voting Rights Act of 1965 when it ended a requirement that nine states with histories of discrimination, including North Carolina, get federal approval before altering their election laws. But the case, as well as one involving a Texas law requiring voters to show a photo ID, could have far wider repercussions, legal experts say — helping to define the scope of voting rights protections across the country in the coming presidential election and beyond. The contested measures in North Carolina include reduced early voting days, an end to same-day registration and an end to a program to preregister high school students. They are a far cry from the violent intimidation and poll taxes of the Jim Crow era. Still, few issues are more highly charged than voting rights in the old Confederate states, where the murder of civil rights workers and the brutal police attack on Alabama marchers galvanized Congress to pass the 1965 act, and the trial is fanning old emotions. “This is our Selma,” said William J. Barber II, president of the North Carolina N.A.A.C.P. [and Moral Mondays Movement (above)], of the election changes in the state. His group brought the lawsuit, alongside the League of Women Voters, a group of college students and the Department of Justice. The Justice Department and other plaintiffs argue that the discriminatory effect was so clearly intentional that North Carolina should again be required to submit voting proposals for federal approval. North Carolina says that the 2013 changes were made to ensure electoral integrity and reduce administrative burdens, and that any effect on minorities is negligible and certainly not illegal. Litigation over changes in voting rules, as opposed to the redrawing of districts, was uncommon before the Supreme Court blocked the federal preapproval requirement in the case of Shelby County v. Holder; questionable changes were usually halted before they could take effect. Now, though, courts and civil rights groups have been forced to take a new look at the remaining provisions of the voting rights statute. Like North Carolina, other states have recently revamped their election laws. Texas, for example, put in place a stringent photo ID law, the legality of which is now under consideration by a federal appeals court. But North Carolina lawmakers passed the broadest set of changes, trimming or eliminating measures that had been adopted over the previous 15 years expressly to bolster electoral participation by minority and younger voters. In addition to cutting early voting days, to 10 from 17, lawmakers ended the ability to register and cast a vote on the same day, instead restoring a 25-day wait, and abolished a preregistration program for 16- and 17-year-olds. The 2013 law also included a strict photo ID requirement, but it was recently softened and will not be considered in the trial. Judge Thomas D. Schroeder of Federal District Court will most likely have to define the point at which such measures amount to unconstitutional discrimination under the Voting Rights Act, setting an important precedent on a topic that many legal experts think must eventually be resolved by the Supreme Court. If intent to discriminate is proved — a tall order — the state will lose. But how to define an illegal discriminatory effect is less settled. In the limited number of cases so far, federal appeals courts have sharply diverged, “offering diametrically opposite views of how to understand what is now the most important section of the Voting Rights Act,” said Edward B. Foley, an expert in election law at Moritz College of Law at Ohio State University. Efforts by civil rights groups to win a preliminary injunction against the North Carolina law before the 2014 election were unsuccessful, so its provisions, except for the voter ID requirement, were in effect then. But the two sides offer contrasting versions of what happened in the election. The plaintiffs will present numerous witnesses who will testify that the new rules deterred them from voting, as well as expert testimony showing broader discriminatory effects, said Donita Judge, a senior lawyer with the Advancement Project, a civil rights group and co-counsel for the plaintiffs. That blacks are more likely to use early voting, same-day registration and out-of-precinct voting has been well established in past elections. Many black churches, for example, send busloads of voters to the polls after Sunday services, and often used the extra week that is now eliminated. Poorer and less educated on average, blacks may be more likely to miss the deadline for registration or to be confused by changes in their home precinct and voting spots, according to civil rights groups. While it is impossible to know how many people did not register or vote in 2014 because of the changes, data does show, as one concrete measure, that 11,000 people who registered in North Carolina less than 25 days before Election Day were unable to vote when they could have under previous rules, said Daniel T. Donovan, a lawyer with Kirkland and Ellis, which is also representing the plaintiffs. The state also points out that the African-American voter turnout in 2014 was higher than it was in 2010, the previous nonpresidential election year. But the civil rights groups note that many factors affect voter turnout in a particular year — 2014 had a hotly contested Senate race — and that the N.A.A.C.P., alarmed by the new rules, engaged in months of intense campaigns to urge African-Americans to register and vote, an effort that cannot be sustained indefinitely. 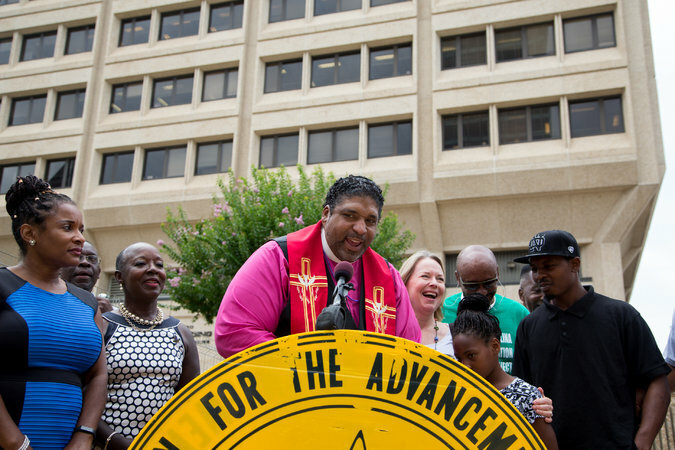 Of particular interest will be the effort to prove that North Carolina legislators acted intentionally to curb black voting, and the related request by federal officials and the civil rights groups to restore a preapproval requirement for election law changes in North Carolina, under a rarely invoked provision of the Voting Rights Act. The Justice Department is seeking similar restorations of federal oversight, known as “bail-ins,” in two Texas cases, involving its redistricting plan and its photo ID law. I will be following news reports of this trial for updates.